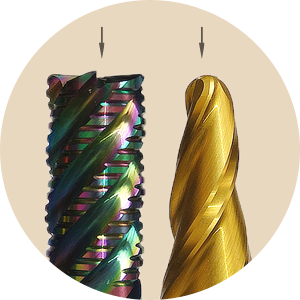 We choose to use only the highest-quality premium submicron grade carbide for our clients. Given our history in the industry, we approach every job with the expert knowledge to tailor exact geometries to the material being cut. This alone increases the efficiency and output of our tools. Our edge preparation process has evolved beyond just honing or rounding a cutting edge. Unlike other suppliers, we use an Engineered Micro Geometry (EMG) process to provide a precise distribution of the edge preparation, making the cutting edge consistent and specific to the material being cut. The EMG process increases cutting edge strength, maximizes the life of the tool and improves the finish of your final product. 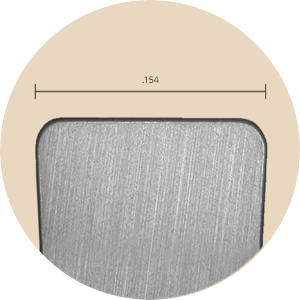 We offer a wide variety of Physical Vapor Deposition (PVD) coatings to best serve the material you are cutting. PVD coatings help extend the life of your tool due to their high temperature tolerance, impressive impact strength and excellent abrasion resistance. Have dull, overly used tools? Don’t discard or replace them. Reconditioning is one of the services our clients use the most. 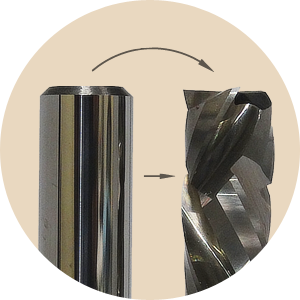 We can regrind and recondition our tools to help you get more life out of them. 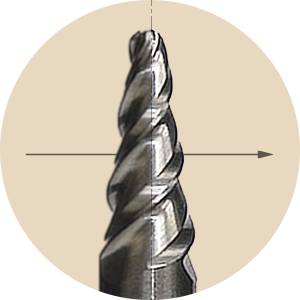 All our regrinding takes place on our CNC machines, ensuring all surfaces of your tool are renewed, unlike manual grinding which can miss critical parts of the tool.